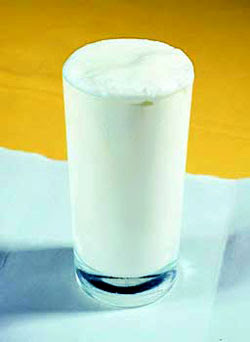 Ayran is a common drink in Turkey. It is made from yoghurt and water, little salt. I will share Ayran recipes with you in this post. I think you already know Ayran's possitive effects on human body health. Also you can drink ayran with your meals and foods. It is fresh drink. Put all of the them in blender and then mix them for about one minutes.After that pour into glasses. you can see bubbles of it on top. good appettide..